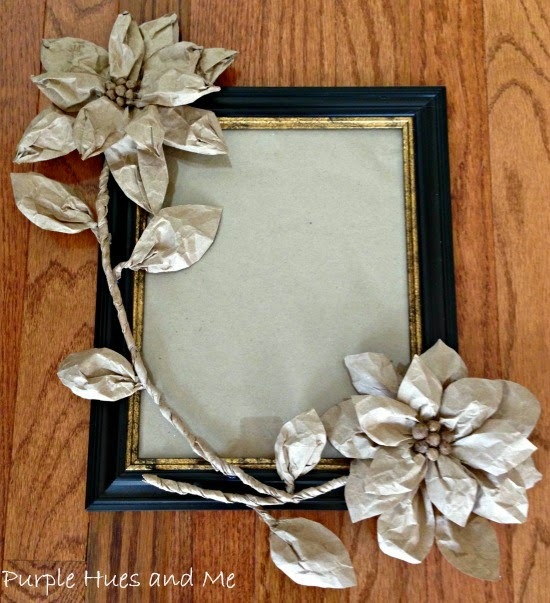 Want to dress up a plain picture frame from the dollar store? How about adding some lovely flowers and stems totally hand made out of brown paper. To get started, you'll need to cut about a 2 inch wide strip of brown paper from the roll. You can either crunch the strip now or do it after you cut smaller strips of approximately 2"x1" to make the petals . . . all freehand. 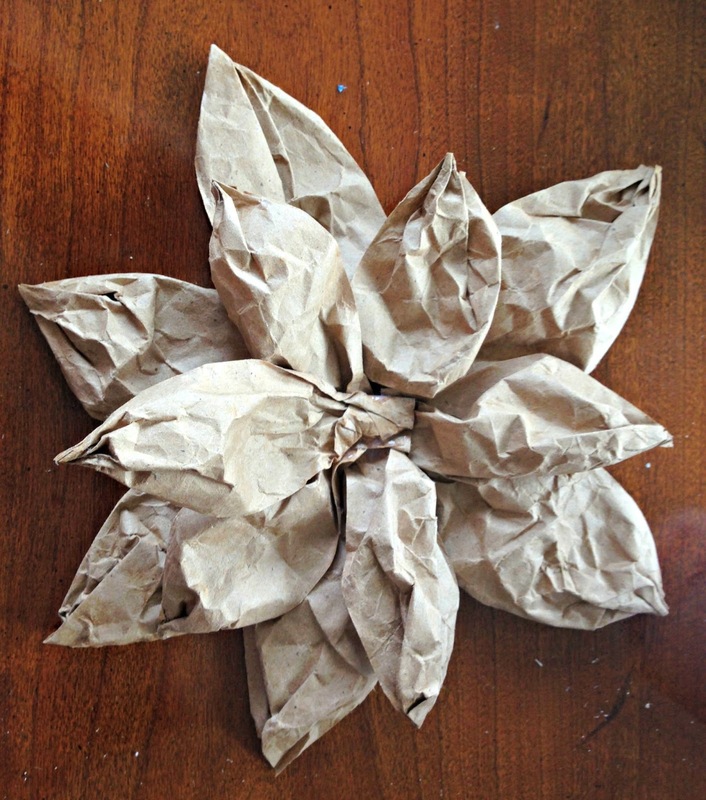 Crunching the brown paper helps to relax and soften the paper and make it more pliable while adding a crumbly texture. Next, because it's freehand, imagine what a flower petal looks like. You have to manipulate the paper strips to make each petal to form the shape you like best. Pinch one end and shape the petal with your hand into a nice pointy end while twisting the other end to form a small stem. Sometimes adding a little water helps with the shape. After manipulating, it should be looking like a petal now. Once all of your petals are made, about 12 to a flower, it's time to assemble. Cut a round small disk from the brown paper. Glue the petals down on the disk, first in the 3, 6, 9, 12 positions and then in between those points, filling in all spaces. Add shorter shaped petals (by cutting from the bottom) on top and between the first petals. I made little spit balls (remember those in elementary school?) to place in the center of the flower. Not too crazy about the photo in the frame, but I'm liking how the flowers and stems turned out. 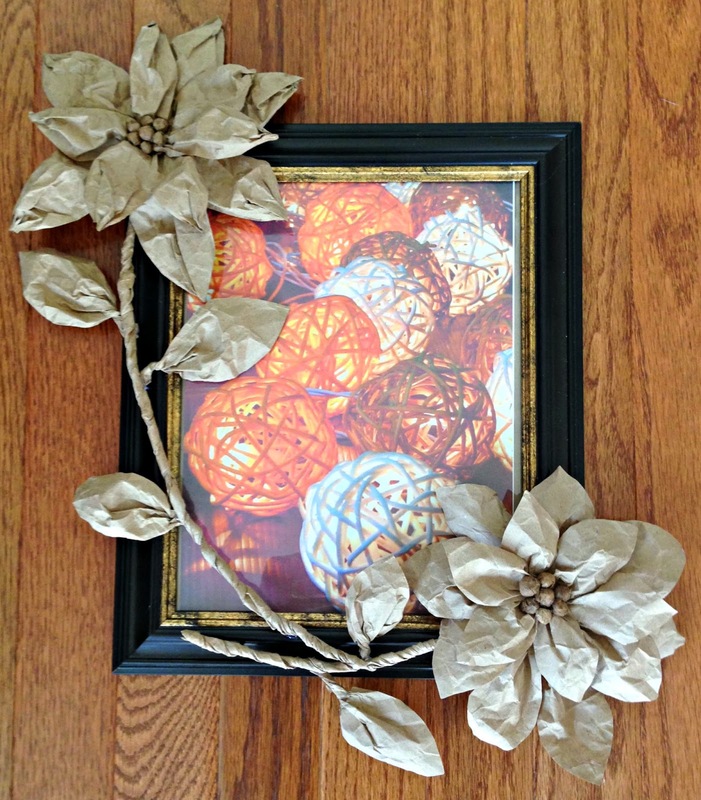 And oh, what a great recycle craft using brown paper bags, if you want! An adorable rustic fall look anyone can make! The flowers are so pretty. They remind me of poinsettias. Too cute Gail, love them! Love these, Gail. They remind me of poinsettias too! I can just see them in red paper for Christmas. And I'm chuckling over the whole spitball image. Too funny! 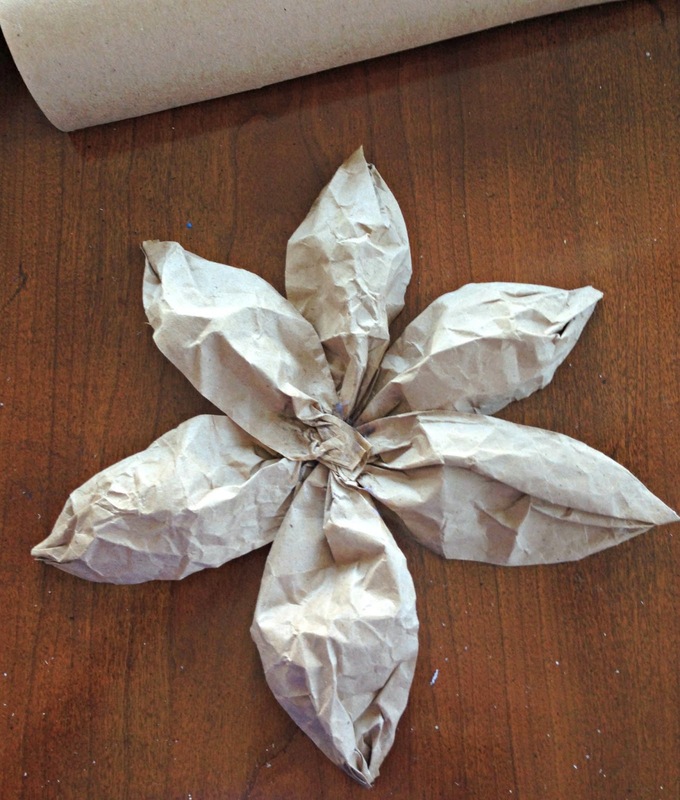 The teacher in me wants to send you to the corner for the spitballs, but thanks for the paper flower tutorial. At a local floral shop a clerk tried to sell me stems like this for the marked down price of $10 - PER STEM! That is an awesome transformation! I love the way it turned out! I love the way you did the flowers---how clever! Your paper flowers turned our great Gail! I can see decorating gifts with them. Oh now that is so cool! I'm going to see if my niece wants to do this the next time she's over! 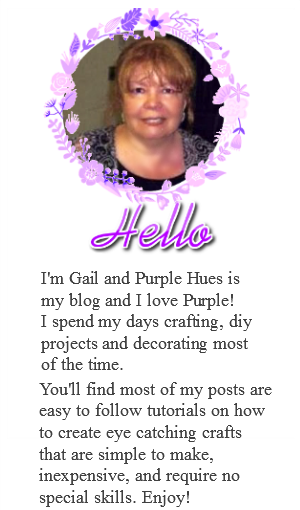 Love the idea Gail- very creative and cute! Hi Gail. Thanks for entering your creation on the Fall Dollar Store contest. You have two votes to cast on your favorite entries other than your own to pick a winner. 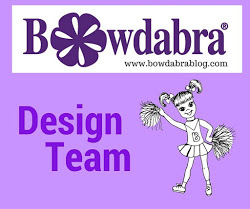 Just visit my blog, click on the dollar store contest button in my sidebar, hover over the links you like and click the heart. wow these are so pretty Gail! 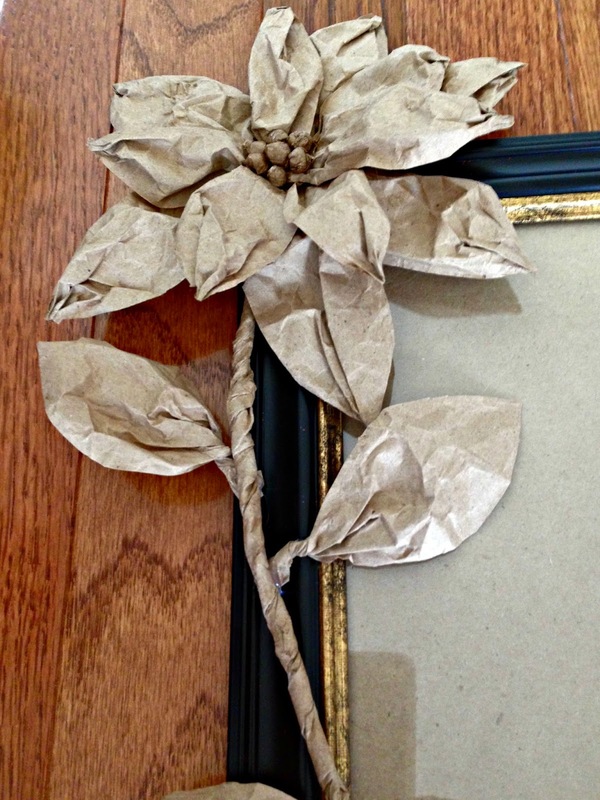 who knew you could make flowers from plain boring brown paper and have them look so totally fab?!?! 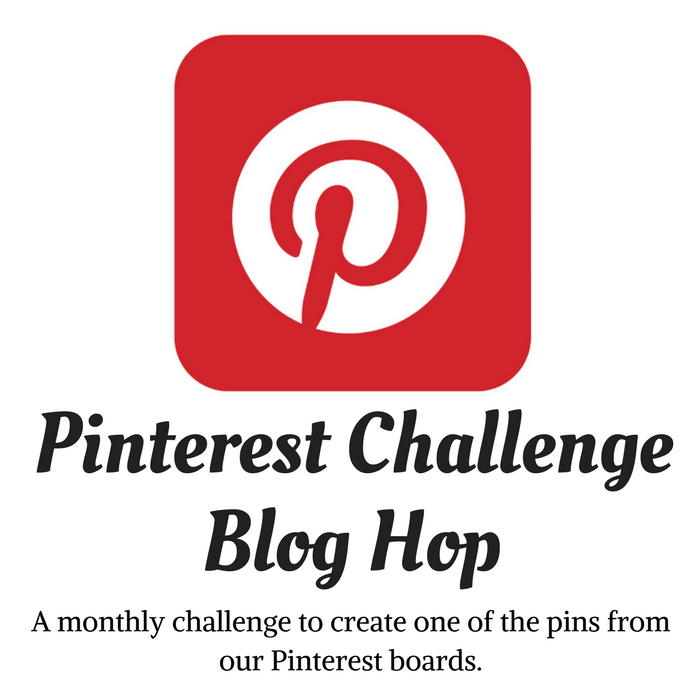 Thanks for sharing the inspiration and how to at the creative challenge!